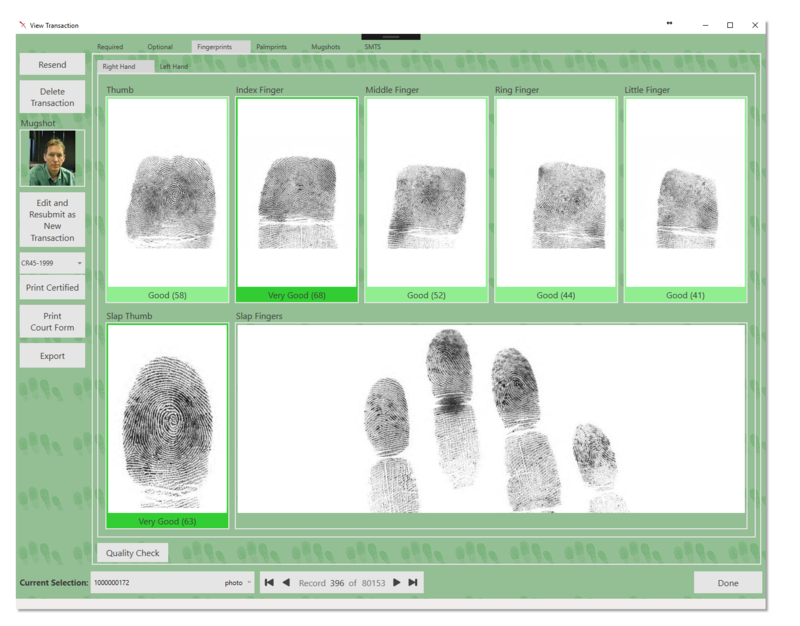 Fed Submit (TX Small Agency) is used by law enforcement agencies to submit criminal fingerprint transactions and arrest records to the Texas Department of Public Safety. Fed Submit (TX Small Agency) is a specially configured and competitively priced system designed to serve agencies that complete less than 350 transaction submissions per year. Fed Submit (TX Small Agency) focuses in on the features smaller agencies need, while cutting out the unnecessary cost and complications of the ones they don’t. With a lower price point for hardware, software, and annual maintenance, Fed Submit (TX Small Agency) is the ideal solution for agencies looking to upgrade who don’t want to comprise on quality for cost. • Dramatically decreases response time from sluggish traditional mail-in methods. • Intuitive interface is easy to learn and even easier to use, streamlining the booking process and enabling paperless fingerprinting. • According to the TxDPS Electronic Arrest Reporting program, Mentalix live scan stations consistently report error rates of less than one percent. • Approved by the TxDPS and widely adopted by agencies across the state. • Mentalix Customers include police departments and Sheriff’s Offices from Addison, Lubbock, Walker, Brown, University Park, Rowlett, Collin, South Padre Island, Plano, Rockwall, Parkland Hospital, Lewisville, and more. Click here to see a more complete list of Mentalix customers, and to read real user testimonials.